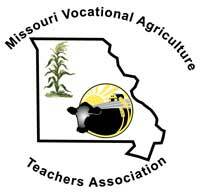 Are you a current ag teacher? We have some resources just for you. Check out the list below for information about professional development opportunities, student loan forgiveness programs, and more! Congratulations to the winning entries in the Teach Ag Lesson Plan Contest! ​Serving Up Ag Education. Several components make up the plan, available here as a PowerPoint presentation. The teacher guide is on slide 3, project description on slide 5, and activities on slide 12. ​Dress Like Your Ag Teacher Day, TEACH AG poster, and TAG Juniors and Seniors. Plans for each are in this document. ​Lesson plan for a Teach Ag video made by students. You can find more lesson plan ideas from the National Association of Agricultural Educators.